Torres Vedras, ​​21 June 2017: Celebrating the International Day against Drug Abuse and Illicit Trafficking on June 26. The Dianova International Network joines the global UNODC #ListenFirst drug addiction prevention campaign. The campaign aims to promote science-based initiatives on drug addiction prevention. Meanwhile, insists on a very simple concept. Namely, at the core of these initiatives lies something we all know how to do, but perhaps spend too little time doing. Listening. The global “Listen First” campaign was launched in New York in April 2016. Specifically at a special event during the United Nations General Assembly Special Session (UNGASS) on the world drug problem. It will continue through at least 2017. The campaign is promoted by the following international institutions. UNODC, World Health Organization, French Inter-Ministerial Mission for Combating Drugs and Addictive Behaviours and the Swedish Ministry of Health and Social Affairs. First thing to remember, drug prevention is an effective investment in the wellbeing of children and youth, families, and communities. What research studies shown through these science-based drug prevention strategies? To demonstrate, on average, up to 30 times the amount of funds invested can be saved in future health and social care costs. For more than fitneen years, the Dianova International network has implemented or joined health promotion and drug addiction prevention initiatives. In particular, to raise awareness of the risks associated with addictive behaviours. Including licit and illicit substance abuse, and “substance-free” addictions. For instance, compulsive gambling and problematic internet use. 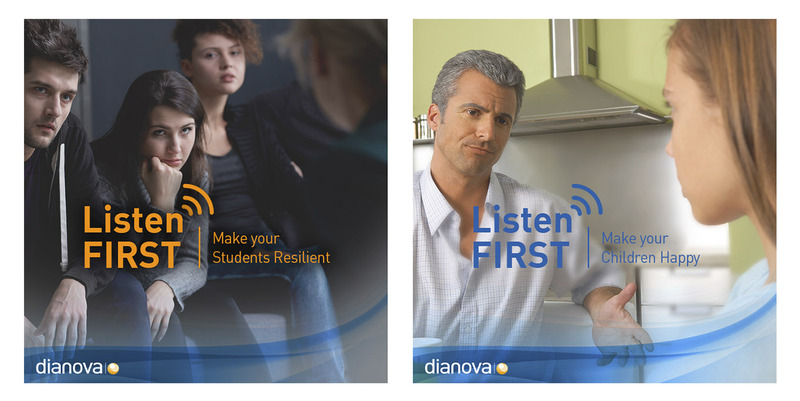 Through the “Listen first” campaign, the Dianova Network intends to provide information and resources. Especially tailored to policy and decision makers, parents, teachers, and other health care providers. In particular, at the countries where the Dianova Network operates. For example, Canada; Chile; India; Italy; Kenya; Nicaragua; Pakistan; Portugal; Slovenia; Spain; Sweden; USA and Uruguay. From 21 to 26 June, we will invite the public to follow a series of recommendations on drug addiction prevention policies. In fact, we also invite to disseminate these messages further. Therefore, share them with parents and friends on their social media and websites. Dianova is an international NGO which comprises associations and foundations operating in the Americas, Europe, Asia and Africa. Dianova’s member organizations contribute to the development of individuals, communities and organizations. In particular, through a variety of programmes and interventions in the social, health and humanitarian areas.